Isn’t it interesting how we’re nostalgic? You hear people say that a song or a smell can take them back to a specific time in their past. I also believe food has this power as well. 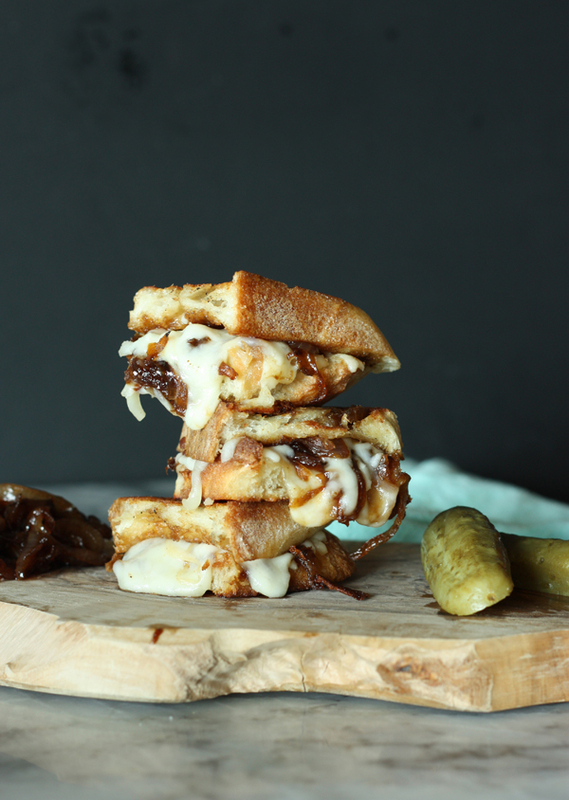 There are a bunch of foods that take me back to my childhood and a grill cheese sandwich is definitely one. It’s funny because I grew up in an Italian family and grill cheese wasn’t part of the regular menu but it was one of my favourite go-to’s when I had to make my own meal. To this day it’s such a comfort food. I mean common, melted cheese + bread. Best combo! As an adult I still love grill cheese (my hips not as much) but I’ve learned to make some more grown up versions. 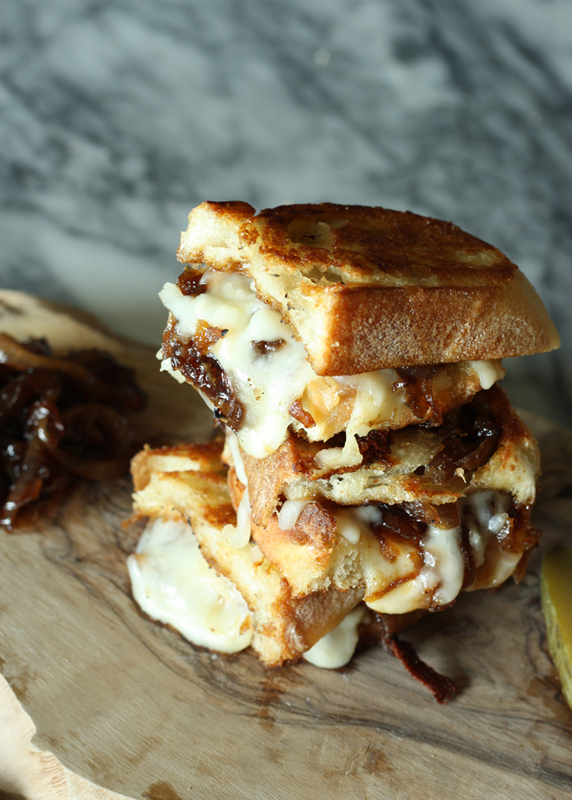 Keep reading to see my latest recipe for grill cheese with bourbon onions using Kraft Shredded Cheese with a Touch of Philadelphia. The result is extra creamy and melt in your mouth. 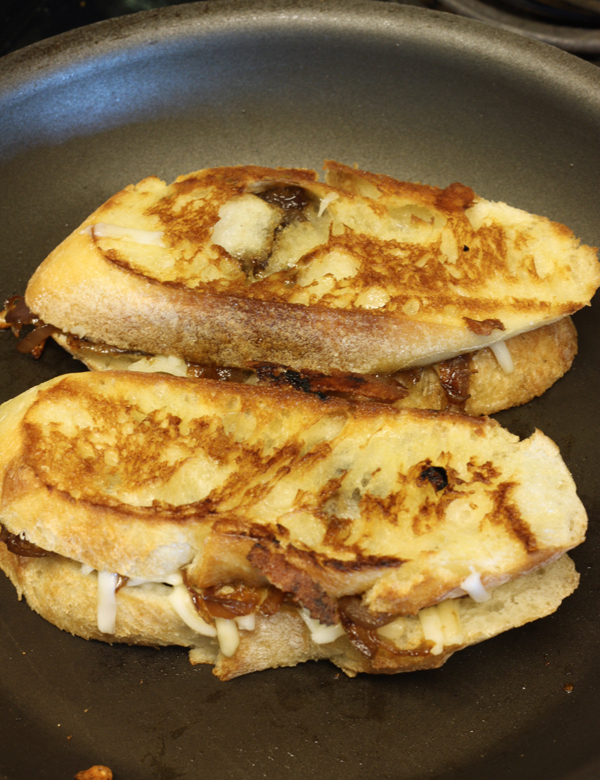 I like to use shredded cheese when making a grill cheese because it’s convenient and it melts faster. I wanted try out Kraft Shredded Cheese with a Touch of Philadelphia because I thought it would be even MORE gooey and creamy and I was right. It’s available in three flavours – Creamy Mozza, Creamy Heard & Garlic and Creamy Mexicana. 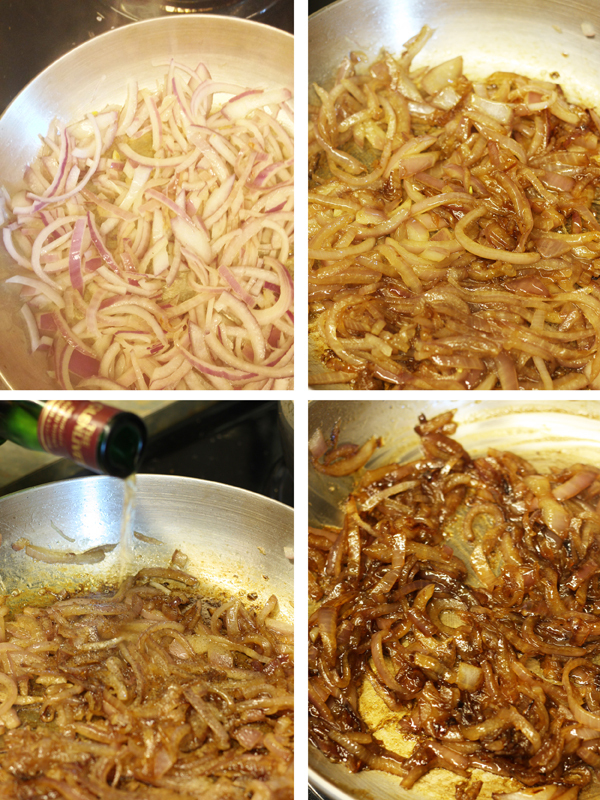 I decided to stick with the Mozza so I could add my own flavour with the bourbon onions. The recipe is a bit loosy goosy because you kinda wing it a bit depending on how many you’re making and your preferences. The directions and amounts below are for two sandwiches. Adjust accordingly. 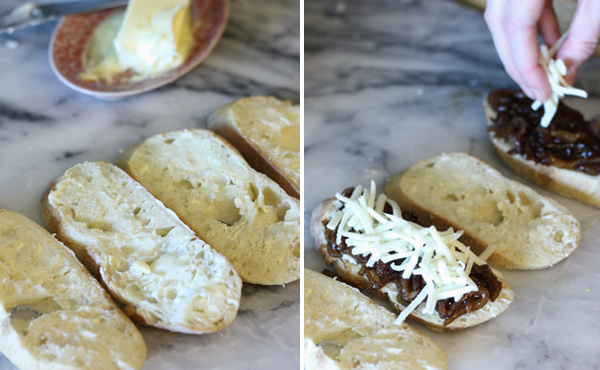 Place the top slice on your sandwiches and they’re ready for the grill! Use a little bit of butter in the pan to get that beautiful golden crust. Cook over low to medium heat and keep an eye on them. Once the cheese has melted on one side, flip over to melt on the other. At this point your kitchen should smell amazing! It requires a bit of patience to get the cheese to melt just perfectly but then you get this creamy melt-in-your-mouth goodness. The drippy melting cheese is from using shredded cheese. You don’t get quite the same result with slices. I really noticed that extra bit of creaminess with the added Philadelphia to the Kraft Shredded cheese. It really was a melt you won’t forget. Isn’t your mouth just watering about now? You can try this recipe which is something I cooked up or you can stop by the Kraft website for more recipes using Kraft Shredded Cheese with a Touch of Philadelphia. 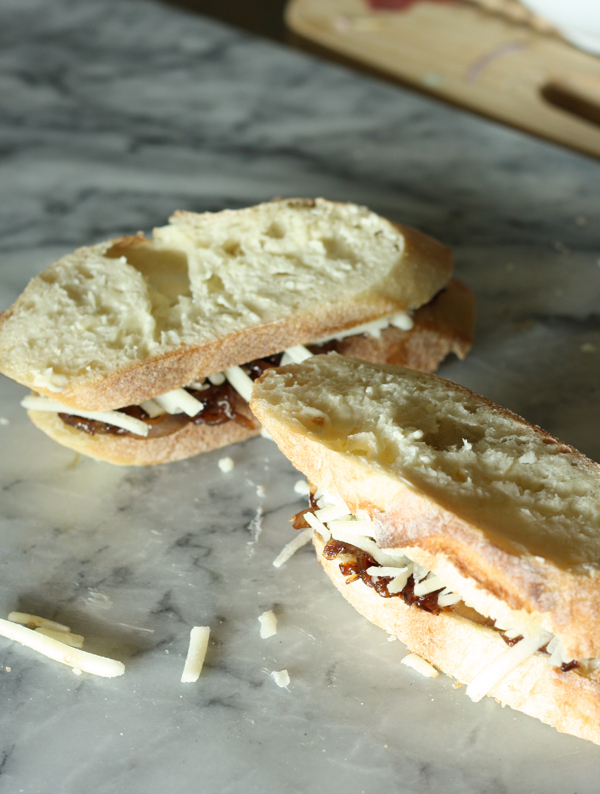 If you’re a cheese lover like me and love to share recipes, join the discussion on twitter. 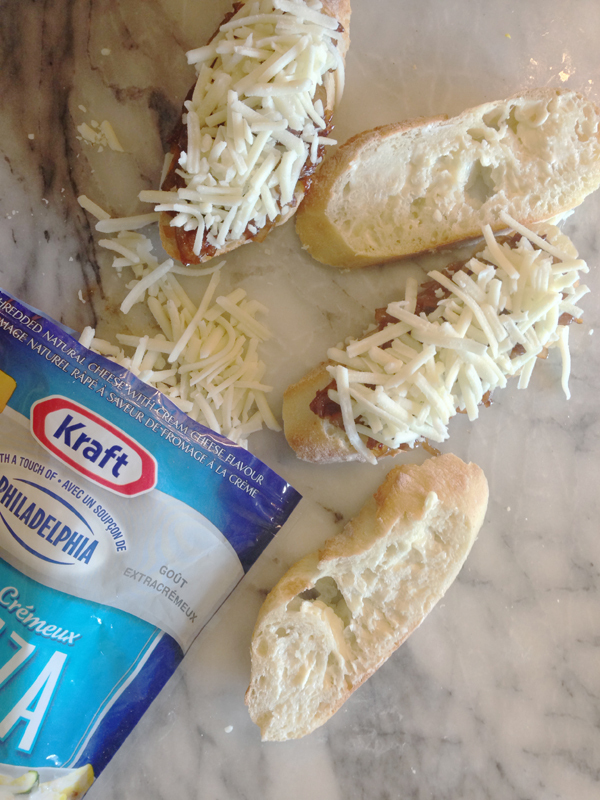 Kraft Canada is hosting a #TouchofPhillyCheese twitter party on April 16 at 9:00pm. Yummm… can I have some?! Looks absolutely delicious!!! What a beautiful grilled cheese! 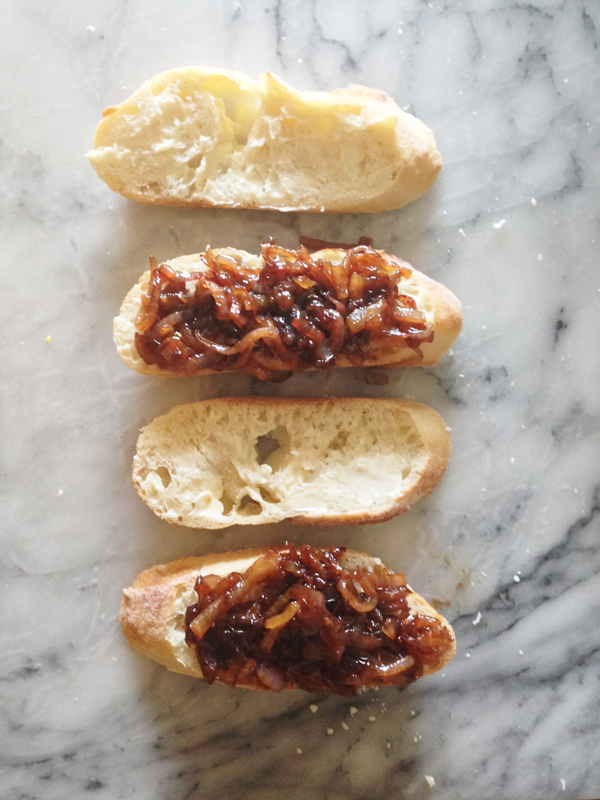 Obviously having a thing for grilled cheese, caramelized onions are one of my favourite grilled cheese toppings! Add some roasted mushrooms to that and I would be on cloud 9! That looks SO delish! Yummy! Oh man! This looks INCREDIBLE!!! Yum! 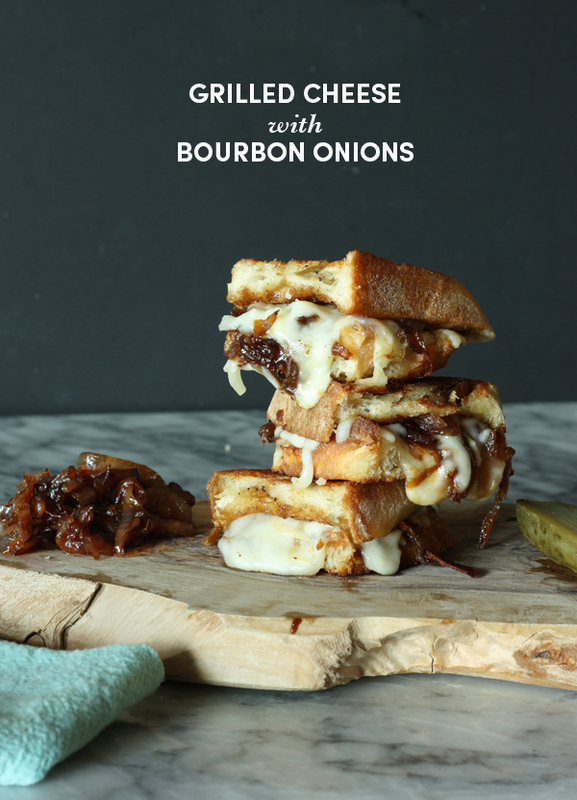 Wow this grill cheese looks amazing…bourbon onions and cheeeeeese?! Yes please. Delicious! Those onions look so good! 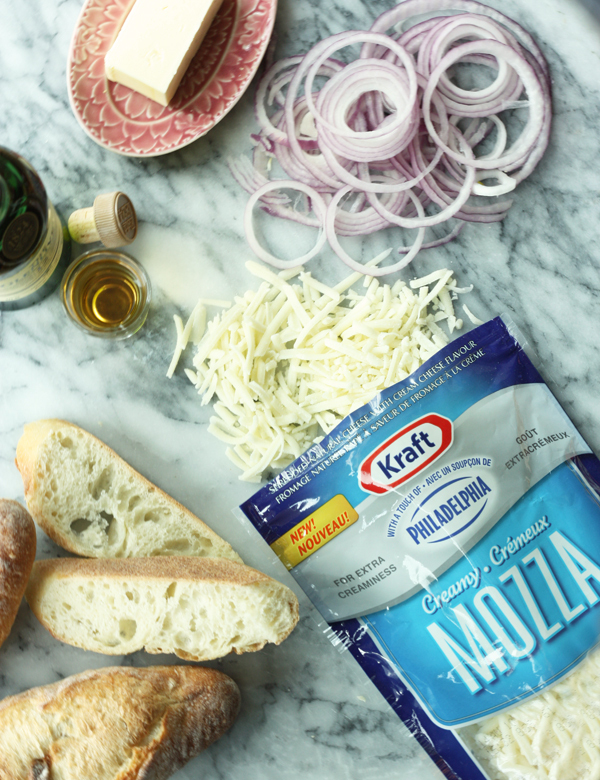 Going to have to try this new blend on my beau’s grilled cheeses tonight — he’s got a man-cold! I think I’ve died and gone to sandwich heaven! I need to make this- yum! Um, hi. Can I come over for lunch? Thanks everyone! I can confirm that it was indeed as mouth watering delicious as it looks. I hope you all get a chance to try for yourself!